so, my three months of hard work and manifesting has paid off. 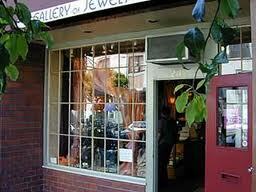 the gallery of jewels in san francisco will now be carrying my work! i cannot tell you how excited i am about this. 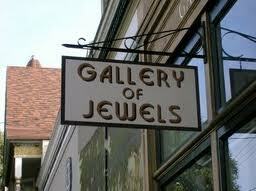 there are actually three gallery of jewels galleries throughout san francisco. this is the location, on fillmore street, that will be carrying my work. 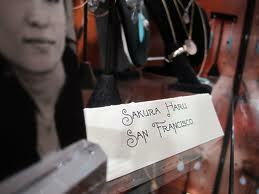 each artist has their own shelf to display their work, with a tag like this with their name and location. i would like to share with you how this came to be. 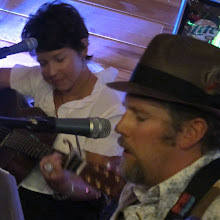 as you know, i really love to travel for music. in october, i desperately wanted to go to san francisco for the hardly strictly bluegrass festival. my husband was not very psyched about the idea. so, my friend that i was supposed to meet out there suggested i try to sort of turn it in to a work trip. i researched some galleries out there and found this one that seemed like a good fit. i contacted the owner, sent him some photos of my work, and asked if he'd be interested in meeting with me while i was there. i can honestly tell you that that meeting was one of the scariest things i've ever done. it's one thing to put yourself out there in the cyber world, another altogether to show your work to a man who has been selling nothing but jewelry for 20 years. his office was at the top of a flight of stairs and i truly almost didn't go up. 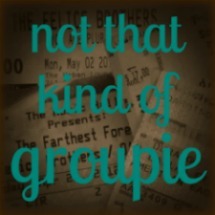 but, it turned out he was a very friendly, fatherly sort of man and i right away felt very comfortable with him. he looked at my work and really liked it, had wonderful things to say about it, and that in itself was awesome. then he said he wanted to share it with his managers and told me to please make THIRTY-SIX samples and get them to him by february 1st, for his managers meeting. so that's what i did. kinda took a break from everything else and just focused on making pieces that were as perfect as i could make them. i was supposed to deliver them in person, but the girls got sick, then i got sick, then the ignition went out in our car! so, i mailed the pieces to him and waited to hear. he called right away after his meeting and said they wanted to start carrying it in one of their three galleries, the one right down the street from the fillmore theater, where i saw conor oberst when i went out there in october. very serendipidous i believe. 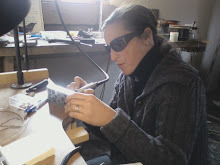 you can view thew gallery of jewels website here. 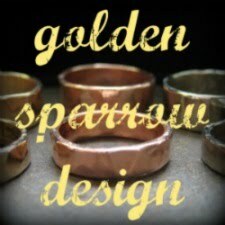 i am shocked and humbled that my work will soon be seen alongside some of these amazing jewelry artists. well thank you so much, m'dear! yesssssssssssssssssssss! Fist Pump from MT!!! !